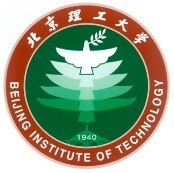 Beijing Institute of Technology (BIT) is a public university with a traditional focus on science and technology but developing into other areas such as management and humanities. The Institute emphasises ethics in scholarship, discovery of truth, and contribution to mankind through profound academic accomplishments. BIT was founded in 1940 in Yan’an, Shaanxi Province and was relocated to Beijing in 1949. The following year, the main campus and the Departments of Maths, Physics and Chemistry of the Institute Franco-Chinois were merged with BIT. BIT has always formulated its strategies in light of national strategic needs and global developments in science and technology and education, and in accordance with its own strengths and missions. Engineering, materials science, chemistry, physics and mathematics are the five disciplines in BIT that are ranked among the top 1% in Essential Science Indicators (ESI) global ranking. High-level achievements have been made in navigation control, injury prevention and safety, mechanical and vehicle engineering, materials science, and information systems and warfare. As one of the first universities to resume management education after China's reform and opening up, Beijing Institute of Technology set up the Department of Management Engineering in 1980. In order to meet the needs of China's socio-economic and higher education development, in 1992, the Department of Management Engineering was renamed the School of Management, and in 1998, renamed to the School of Management and Economics. At present, the School has eight departments: the Department of Management Science and Logistics, Department of Management Engineering, Department of Applied Economics, Department of International Trade and Finance, Department of Accounting, Department of Organization and Human Resource Management, Department of Technical Economics and Strategic Management, and Department of Marketing. The Center for Energy & Environmental Policy Research, Beijing Institute of Technology, was founded in 2009. 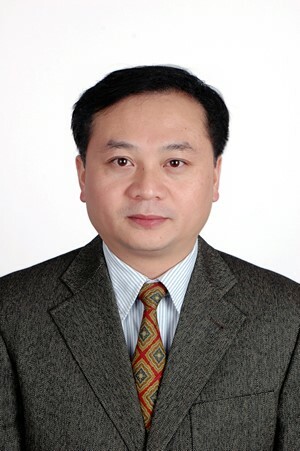 The current director of CEEP-BIT, Prof. Yi-Ming Wei, established a CAS-CNPC Joint Center for Energy and Environmental Policy in 2006, and held the founding director. The core research team then joined BIT and kept on contributing to research, education and international communication in the fields of energy and environmental policy. According to the statistical analysis from RePEc in July 2018, CEEP-BIT ranks 33, top 2% institutions in the field of Environmental Economics at IDEAS, and ranks 33, top 2% institutions in the field of Energy Economics at IDEAS. 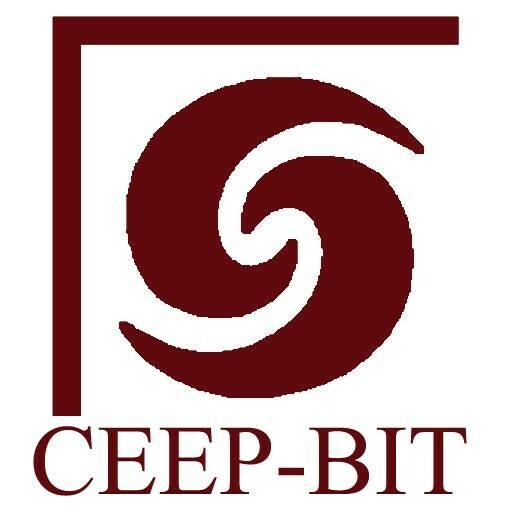 CEEP-BIT conducts researches on energy economics, climate policy and environmental management armed with qualitative and quantitative tools, aiming to provide scientific basis for public and private decisions in strategy planning and management that needed to cope with China's increasing demand for energy as well as the challenges of adapting to and mitigating climate change. CEEP also serves as a professional education center and a platform for international exchange in the area of energy and environmental policy research. University College London (UCL) is a public research university in London, England, and a constituent college of the federal University of London. It is the third largest university in the United Kingdom by total enrolment, and the largest by postgraduate enrolment. Established in 1826 as London University, UCL was the first university institution to be established in London, and the first in England to be entirely secular and to admit students regardless of their religion. In the most recent Research Excellence Framework rankings for research power, UCL was the top-rated university in the UK as calculated by Times Higher Education, and second as calculated by The Guardian/Research Fortnight. UCL had the 9th highest average entry tariff in the UK for students starting in 2016. Globally, UCL is ranked from tenth to twentieth in the four major international rankings, and from seventh to eleventh in the national league tables. UCL is a member of numerous academic organisations, including the Russell Group, and is part of UCL Partners, the world's largest academic health science centre, and the "golden triangle" of research-intensive English universities. UCL alumni include the 'Father of the Nation' of each of India, Kenya and Mauritius, the founders of Ghana, modern Japan and Nigeria, the inventor of the telephone, and one of the co-discoverers of the structure of DNA. UCL academics discovered five of the naturally occurring noble gases, discovered hormones, invented the vacuum tube, and made several foundational advances in modern statistics. As of 2017, 33 Nobel Prize winners and 3 Fields medalists have been affiliated with UCL as alumni, faculty or researchers. The Bartlett School of Construction and Project Management is a leading international centre for research. It is part of UCL, one of the top ten QS World University ranking institutions and part of the Bartlett Faculty of the Built Environment. The Bartlett has the most top-rated research in its field in the UK, according to the Government’s Research Excellence Framework (REF2014). BSCPM has a strong team of full-time research-active academic staff, and a small team of contract research staff. Their work is published in leading journals in construction, project management and management disciplines, and is engaged with government, industry and institutions in knowledge development, transfer and application. 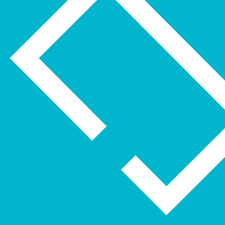 Three areas have been particularly prominent in making a considerable and lasting impact: direct influence and indirect contributions to the international development of project management bodies of knowledge; the development and application of PPP/PFI concession contracts in the UK and across the world; national contributions to enterprise in construction and project management in training, knowledge-transfer-related research and consultancy-related research. Dr. Yi-Ming Wei is a Distinguished professor of Energy and Environmental Economics and the Dean of the School of Management and Economics, Beijing Institute of Technology (BIT), China. He is the Founding Director of the Center for Energy and Environmental Policy Research at BIT. He is also the Founding Director of Beijing Key Laboratory of Energy Economics and Environmental Management. His recent research and teaching focus on Energy Policy and Energy Economics, CO2 emission and Climate Policy, Energy and Climate Policy Modeling. He has performed over 40 research projects for various China governmental agencies including NDRC, MOST, NEA, NSFC,CNPC,SGCC and CAS, and such international organizations as the World Bank, EU-FP7. He published 20 books and over 300 papers in peer review Journals including Nature-Climate Change, Climatic Change, Energy Economics, Ecological Economics. He has been awarded by the Prize of Science and Technology for Young Scholars (2001), National Natural Science Fund for Distinguished Young Scholars (2004), and honor of National Excellent Postdoctoral (2005), Hundred Talents Program of the Chinese Academy of Sciences (2005), Chair Professor of Changjiang Scholar program of the Ministry of Education of China (2008), Honor of Excellent Researcher of China Awarded by China Association for Science and Technology (2012), Honor of Excellent Teacher of Beijing Municipality (2013). Dr. D’Maris Coffman joined UCL in September 2014 as a Senior Lecturer in Economics and Finance of the Built Environment at CPM here at UCL Bartlett. In February 2017, she was appointed Interim Director (Head of Department) of BSCPM. In late January 2018, she was appointed to a professorial chair in Economics and Finance of the Built Environment with effect from March 2018. Before coming to UCL, she spent six years as a fellow of Newnham College where I variously held a junior research fellowship (Mary Bateson Research Fellowship), a post as a college lecturer and teaching fellow, and a Leverhulme ECF. 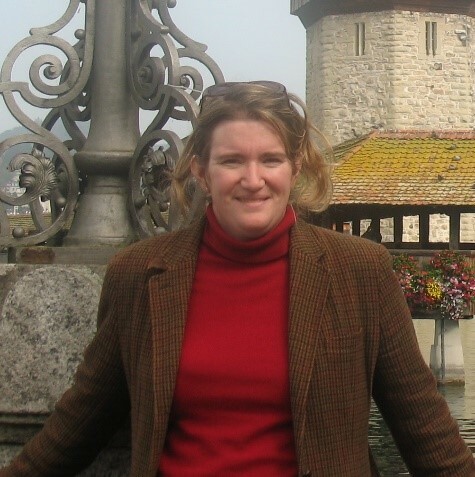 In July 2009, she started the Centre for Financial History, which she directed through December 2014. It is still going strong, but has moved from Newnham College to Darwin College in line with the affiliation of its new director. She did her undergraduate training at the Wharton School in managerial and financial economics and her PhD in the School of Arts & Sciences at the University of Pennsylvania. While at Penn, her doctoral research in the UK was funded in part by the Mellon Foundation under the guise of an IHR pre-doctoral fellowship and an SSRC international dissertation fellowship. Professor Coffman’s research interests span infrastructure, construction, real estate and climate change. Dr. Bao-Jun Tang is Professor and Associate Dean of School of Management and Economics, Beijing Institute of Technology. She is also the deputy director in the Center for Energy & Environmental Policy Research at BIT. Her recent research and teaching focus on Technology Innovation of New Energy Vehicles, Energy Finance, Energy and Climate Policy, etc. She has published more than 70 peer-reviewed journals including: Applied Energy, Journal of Cleaner Production, Energy Policy, Energy Economics, etc., and published several books in the field of Energy Economics, Climate Policy and New Energy Vehicles. She has carried out about 30 research projects including those granted by NSFC, National Philosophy and Social Science Fund of China, and the Ministry of Education of China. Dr. Hua Liao is professor and deputy director at Center for Energy and Environmental Policy Research, Beijing Institute of Technology (BIT). He has been the principal investigator of over 10 energy economics and climate policy research projects granted by the ministries of China. 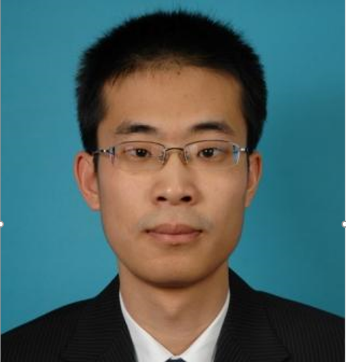 Professor Liao has published over 80 research articles and is the co-author of China Energy Report (7 volumes), Energy Economics: Energy Efficiency in China, and Energy Economics: Understanding and Interpreting Energy Poverty in China. He has served several journals as editorial member or guest editor and has been awarded the Changjiang Young Scholar by the Ministry of Education. 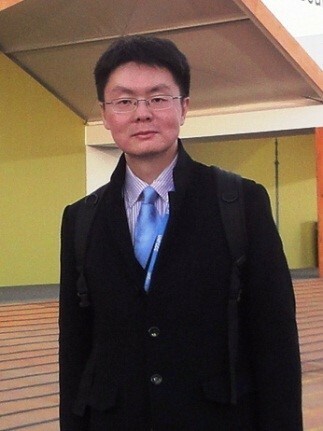 Dr. Bi-Ying Yu is an Associate Professor in Beijing Institute of Technology (BIT). She joined the Center for Energy and Environmental Policy Research at BIT from Kyoto University in Japan. Previously, Dr. Yu has 3 years’ working experience as an assistant professor and research fellow in Kyoto University and Hiroshima University in Japan after she got her PhD degree in Hiroshima University. Her recent research and teaching focus on Energy Policy and Energy Economics, Carbon emissions and Climate Policy, Behavior-Economy-Technology-Energy-Environment (BETEE) Modeling, Household Energy Consumption Behavior, Time Use, Sharing Mobility, and etc. 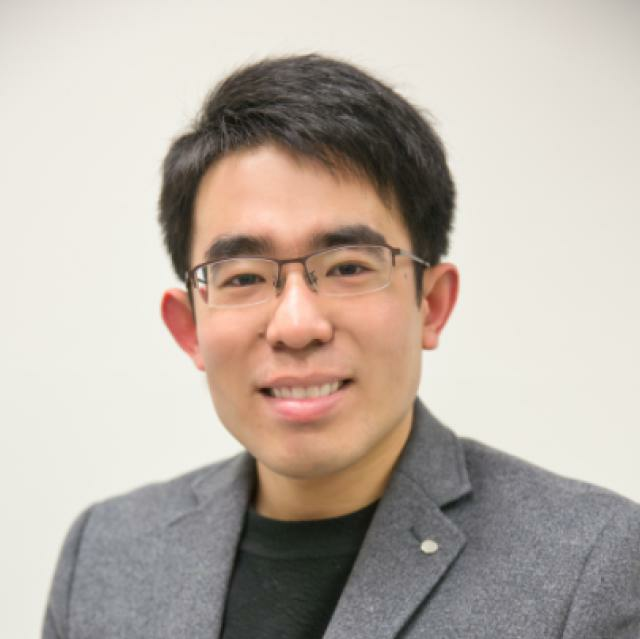 Dr. Yu published about 30 papers in peer review journals including: Nature-Energy, Applied Energy, Journal of Cleaner Production, Energy Policy, Energy, Transportation Research Part A, Journal of Transport Geography, etc. 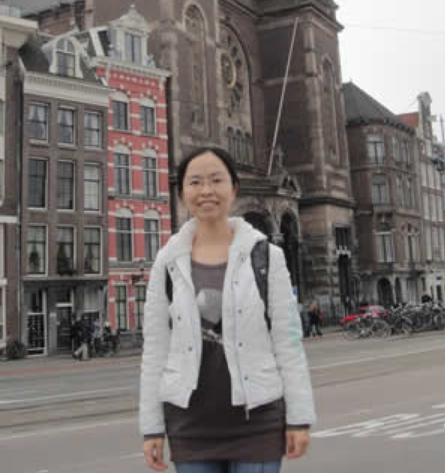 Biography: Dr. Qiao-Mei Liang received her PhD degree in Management Science and Engineering from Chinese Academy of Sciences in 2007. Currently, she is a professor in the School of Management and Economics, Beijing Institute of Technology. 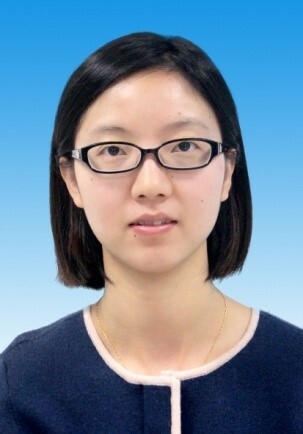 She was awarded by Excellent Young Scientist Foundation of National Natural Science Foundation of China (NSFC) in 2014. She was also selected for the "Program for New Century Excellent Talents in University" by the Ministry of Education, and the program of "Beijing-funded Plan for Talents". Her main research interest is Energy Economic Complex System Modeling and Energy & Environmental Policy. She has undertaken more than 20 projects which are supported by NSFC, European Union FP7 and so on. She has published more than 40 academic papers and 7 books in collaboration with others. 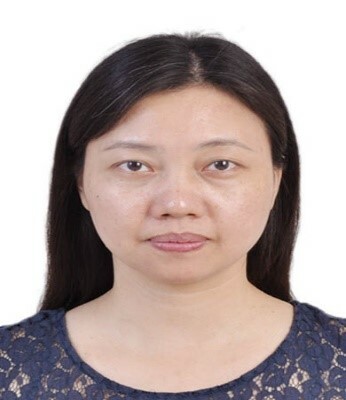 She has received academic honors including Nomination Award of National Excellent Doctorate Dissertation of China, Award of Beijing Excellent Doctorate Dissertation, etc. Abstract: Intended Nationally Determined Contributions (INDC) have renewed attention to the importance of exploring temperature rise levels lower than 2 ℃, in particular a long-term limit of 1.5 ℃, compared to the preindustrial level. Nonetheless, achieving the 2 ℃ target under the current INDCs depends on dynamic socioeconomic development pathways. Therefore, this study conducts an integrated assessment of INDCs by taking into account different Shared Socioeconomic Pathways (SSPs). To that end, the CEEP-BIT research community develops the China’s Climate Change Integrated Assessment Model (C3 IAM) to assess the climate change under SSPs in the context of with and without INDCs. Three SSPs, including ‘‘a green growth strategy’’ (SSP1), ‘‘a more middle-of-the-road development pattern’’ (SSP2) and ‘‘further fragmentation between regions’’ (SSP3) form the focus of this study. Results show that the carbon prices under INDCs are very low and thus have no evident positive impacts on emission reduction in the three SSPs. There are long-term difficulties to keep warming well below 2 ℃ and pursue efforts toward 1.5 ℃ target under the current INDCs. A drastic reduction in greenhouse gas emissions is needed in order to mitigate potentially catastrophic climate change impacts. Biography: Dr. Ke Wang is Professor and Chair of Department of Management Engineering, School of Management and Economics, Beijing Institute of Technology. He is a research scholar in Center for Energy & Environmental Policy Research. He was a visiting research scholar of University of Illinois and University of Michigan. His research interests include energy economics and climate policy modeling, energy and environmental policy assessment, carbon market modeling, etc. He is the PI of research projects including grants of National Natural Science Foundation of China, CDM Fund, World Bank Financing Project, etc. He has published more than 60 peer-reviewed journal articles in the field of energy economics and climate policy, management science and operations research, in which 10 papers had been listed in ESI 1% highly cited paper and 1 paper had been listed in ESI 0.1% hot paper. His google scholar H index is 20. He is the Deputy Secretary General and Council Standing Membership of Chinese Society of Energy Economics and Management. He is the Managerial Editor and Associate Editor of Journal of Modelling in Management, and guest editor of Annals of Operations Research and Natural Hazards. Abstract: Input-output analysis (IOA) is widely used to estimate the environmental impacts of economic activities, while data envelopment analysis (DEA) is a widely utilized approach for evaluating environmental efficiency. IOA gives the observed material flow of all industrial sectors and DEA provides the optimal solution of a specific sector. In this study, IOA and DEA are integrated in an optimization model to evaluate environmental efficiency related to all sectors and find optimal production of each sector. Moreover, an environmentally extended input-output table is constructed by introducing three virtual sectors, which reflect the abatement inputs and environmental benefits of reducing air pollutants. As a consequence, environmental value of emission and abatement can be qualified and involved into material flow with other industrial sectors in the input-output table. The optimization model is applied to evaluate the trade-off between environmental benefits and economic costs under different environmental taxation policies in China. Biography: Dr. Zhi-Fu Mi is a Research Fellow at Bartlett School of Construction and Project Management, University College London. His research focuses climate change economics, energy policy and input-output analysis. He has published over 40 papers in peer-reviewed journals, such as Science Advances, Nature Geoscience, and Nature Communications. Nine of them were listed in the ESI highly cited papers, and three were listed in ESI hot papers. He was awarded the 2017 Best Early Career Article in Environmental Research Letters, and 2016 Highly Cited Original Paper in Applied Energy. His Doctoral thesis was awarded the Outstanding Doctoral Thesis Award on Economics Research in China. He was invited to write a review article entitled Integrated Assessment Models (IAMs) for Climate Change for Oxford Bibliographies. He is an Associate Editor for Journal of Cleaner Production (IF=5.715) and Guest Editor for Applied Energy (IF=7.182), Mathematics and Computers in Simulation, and Structural Change and Economic Dynamics. Abstract: China has entered a new phase of economic development—a new normal—in which large-scale, rapid and multidimensional changes in economic structure are happening. We constructed the time-series of CO2 emission inventories for China and its provinces. Environmentally extended input-output analysis and structural decomposition analysis were applied to investigate the driving forces behind changes in emissions. The pattern of China’s carbon emissions has changed. First, China’s carbon emissions have stabilized since 2013. Second, the strongest factors that offset CO2 emissions have shifted from efficiency gains to structural upgrading. Third, emission flow patterns have changed in both domestic and foreign trade since the global financial crisis. Some economically less developed regions, such as Southwest China, have shifted from being a net emission exporter to being a net emission importer. In terms of foreign trade, emissions embodied in China’s exports declined from 2007 to 2012 mainly due to changes in production structure and efficiency gains, while developing countries became the major destination of China’s export emissions.